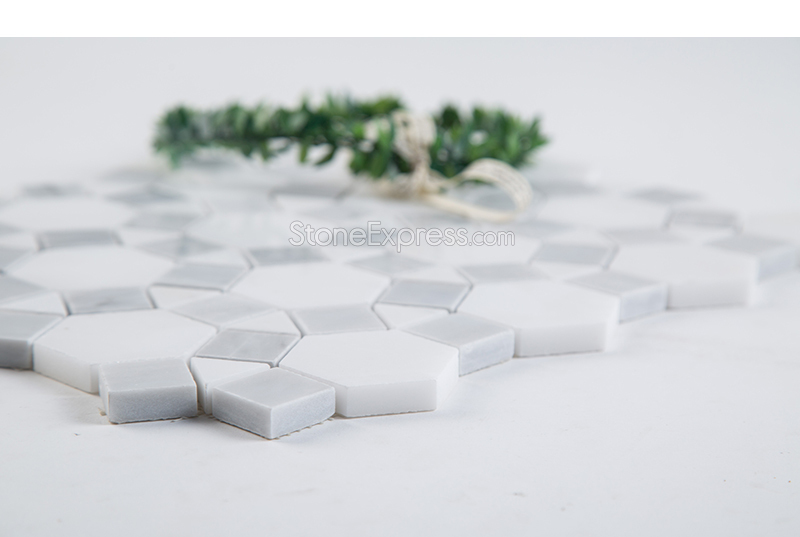 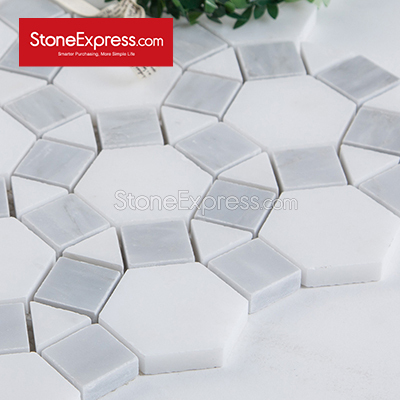 Natural marble mosaic tiles are widely applied in Interiors ,especially in kitchen backsplash and bathroom floor and wall. 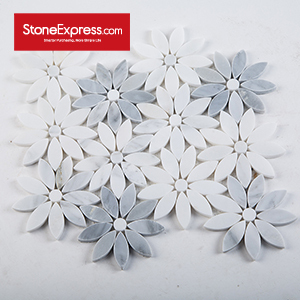 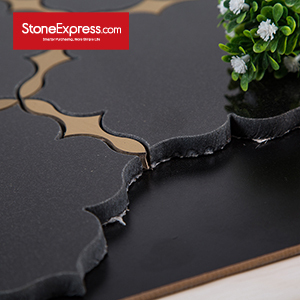 We undertake to supply your projects needs by a extensive ranges of stone mosaic. 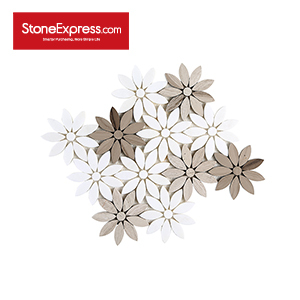 Brass inlay marble mosaic, Stainless steel inlay marble mosaic, gold foil inlay marble mosaic, silver foil inlay stone mosaic tile. 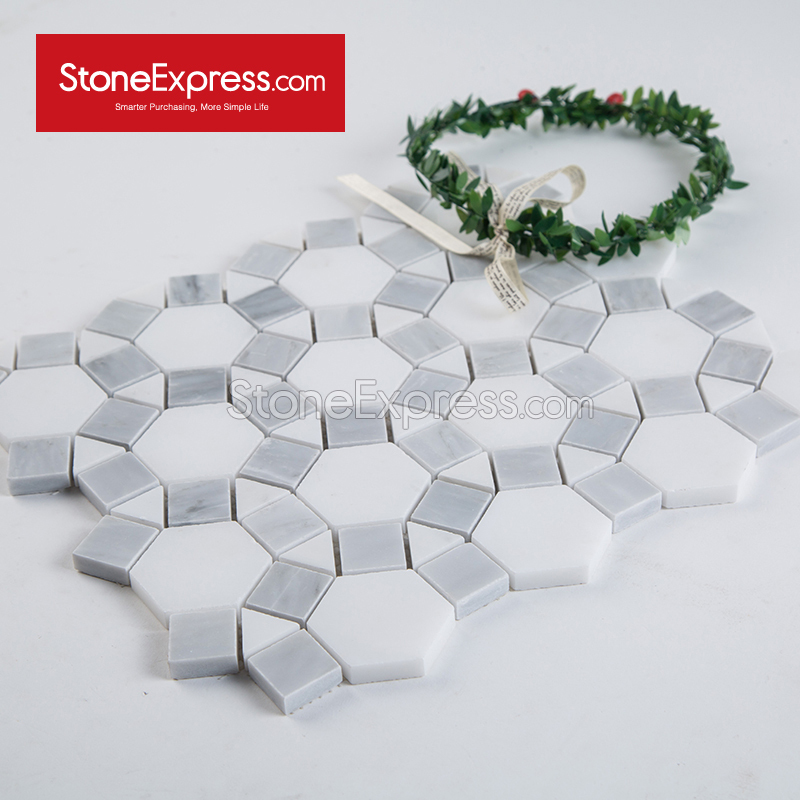 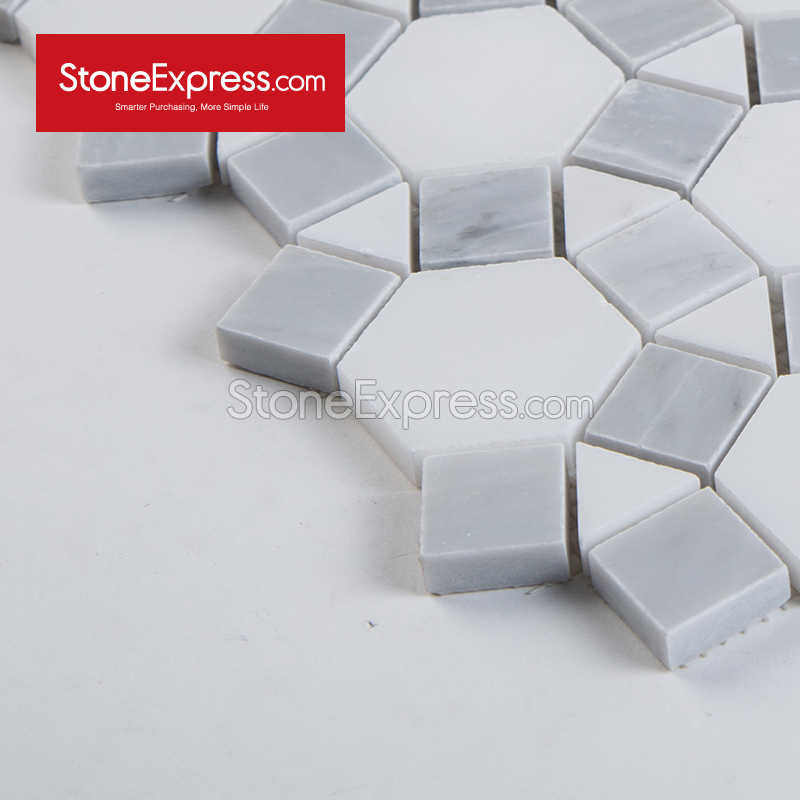 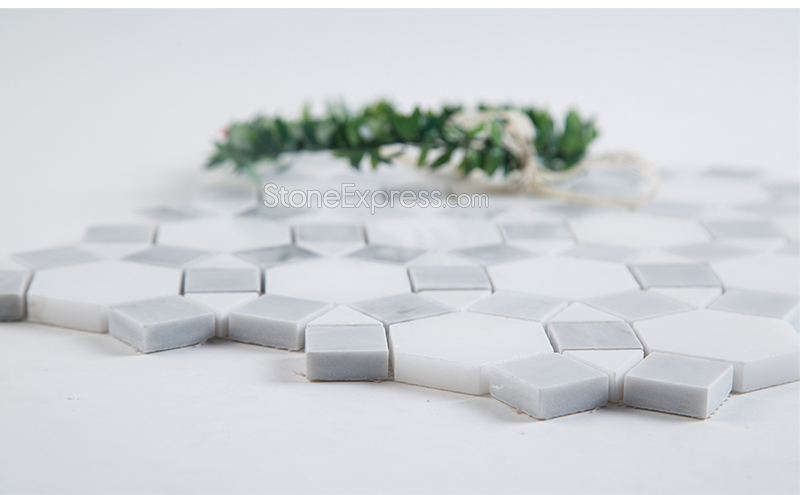 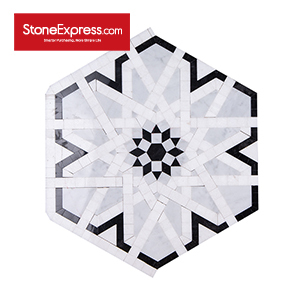 Product Name: Solid Marble Waterjet Mosaic Series Size: 245*200,330*290mmetc. 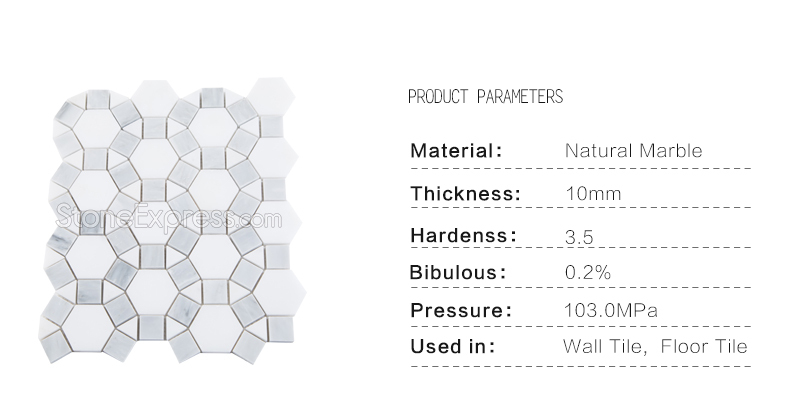 Packaging : Pack with protect film by carton and standard export wooden crate Colors: White,Blue,Green,Gold,Black,Grey ,Beige,etc. 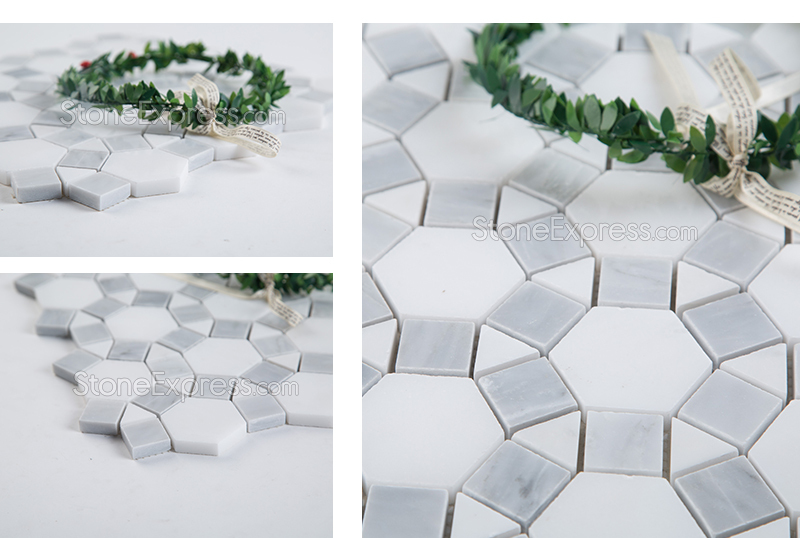 ☆ Color consistent and good for big projects.